This is so encouraging! It's really easy to forget that we ALL suffer. 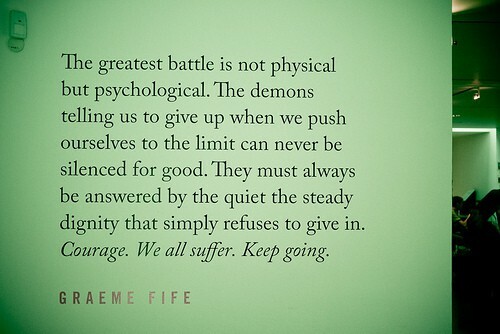 We all hear discouraging, negative words in our minds, spoken by those demons who want us to remain miserable. And it's not just those who are overweight who hear these words, but even those healthy, fit people we admire and aspire to become more like. We must remind ourselves that we aren't the only ones who go through these mind battles. We have to move forward in life without a victim mentality. This dream is ours. It was placed in our hearts by God. He wants us to make it our reality! He also wants us to put in the work it takes to battle through and press on towards the goal. 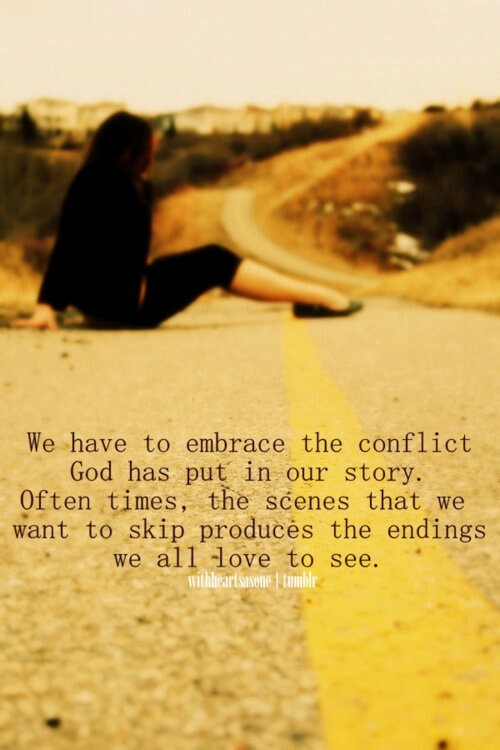 He wants us learn the lessons and see the beauty in our trials. He wants us to grow in wisdom and become an encouragement to others. He wants us to be thankful for the blessings in life. When we look at it this way, it doesn't seem as bad, right? Truthfully, I don't really enjoy suffering, pain, discomfort, conflict, disagreement, chaos, or having people upset with me. I know it's necessary to have crucial conversations with others in order to move forward and make progress. When we bottle our feeling up, it festers and we don't accomplish much good. Rather, we keep thinking about those things that made us angry or the words that were said that hurt us. It usually ends up coming out in an angry explosion later on, making things worse. The same is true in our journey to healthy living. The more we focus on the things we don't like about ourselves, the things we're doing wrong, and the things we wish we could change, the less likely we are to make progress... and the more likely we are to just give up. But when we have those crucial conversations with ourselves and lift some weight from our shoulders, we're more likely to move closer to our dream, making it come true! Do you believe getting through the small obstacles and conflicts will be worth it in the end?